New Delhi(PTI): India is second to China in terms of number of smokers aged 15 or above accounting for 106 million of the world’s 1.1 billion smokers, according to a new report by the WHO. Indonesia comes in third with 74 million smokers. As many as 200 million of the world’s 367 million smokeless tobacco users are in India, the report (2016 estimates) highlighted. The WHO estimates that, worldwide, there are at least 367 million smokeless tobacco users aged 15 years or over. More males used smokeless tobacco products (237 million) than females (129 million). Although smokeless tobacco is used in all regions, the WHO South-East Asian Region has by far the largest number of users (301 million), representing 82 per cent of all users worldwide. However, the pace of action in reducing tobacco demand and related death and disease is lagging behind global and national commitments to reduce tobacco use by 30 per cent among people aged 15 and older. If the trend continues on the current trajectory, the world will only achieve a 22 per cent reduction by 2025. Tobacco kills over 7 million people each year, despite the steady reduction in tobacco use globally, as shown in WHO’s new Global Report on Trends in Prevalence of Tobacco Smoking 2000-2025. The report shows that worldwide, 27 per cent smoked tobacco in 2000, compared to 20 per cent in 2016. On the occasion of the World No Tobacco Day, WHO has joined hands with the World Heart Federation to highlight the link between tobacco and cardiovascular diseases (CVD), the world’s leading causes of death, responsible for 44 per cent of all NCD deaths, or 17.9 million deaths annually. “Most people know that using tobacco causes cancer and lung disease, but many people aren’t aware that tobacco also causes heart disease and stroke the world’s leading killers, WHO Director-General Tedros Adhanom Ghebreyesus said. This World No Tobacco Day, WHO is drawing attention to the fact that tobacco doesn’t just cause cancer, it quite literally breaks hearts, Ghebreyesus said. In many countries, this low awareness is substantial; for example, in China, over 60 per cent of the population is unaware smoking can cause heart attacks, according to the Global Adult Tobacco Survey. 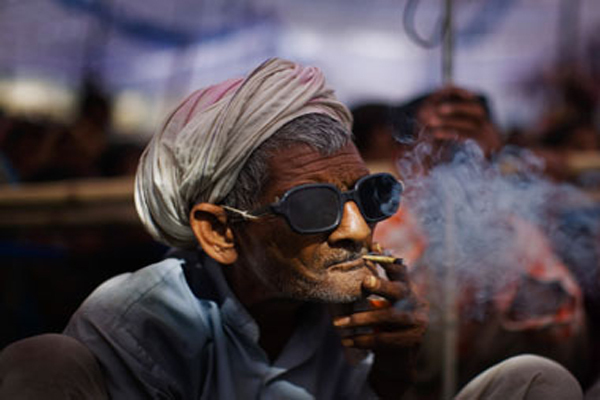 In India and Indonesia, more than half of adults do not know smoking can cause stroke. “Governments have the power in their hands to protect their citizens from suffering needlessly from heart disease,” WHO Director for the Prevention of NCDs Douglas Bettcher said. ” Measures that reduce the risks to heart health posed by tobacco include making all indoor public and workplaces completely smoke-free and promoting use of tobacco package warnings that demonstrate the health risks of tobacco,” Bettcher said. the report (2016 estimates) highlighted.